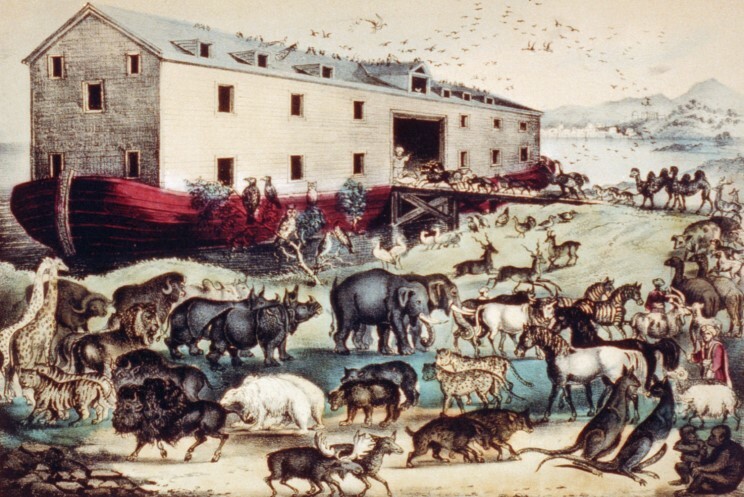 Portrait of Noah's Ark under construction at Fara, Babylon by Französischer Meister. 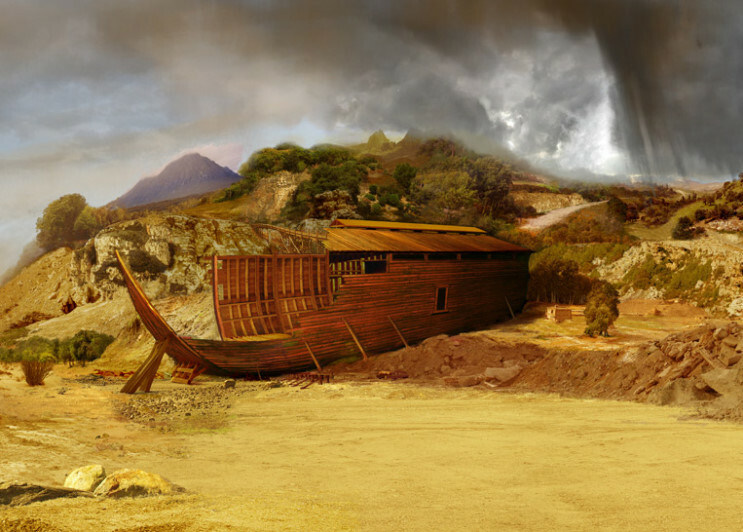 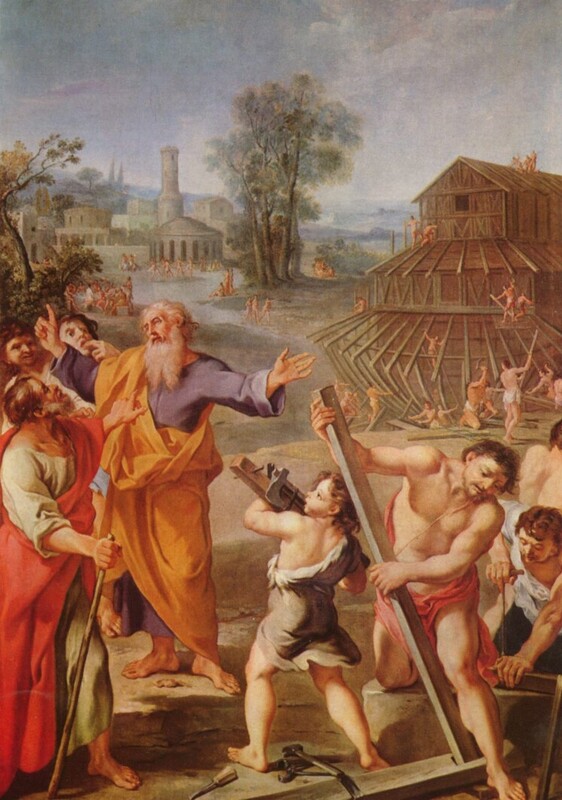 Noah's Ark under construction, artist unknown. 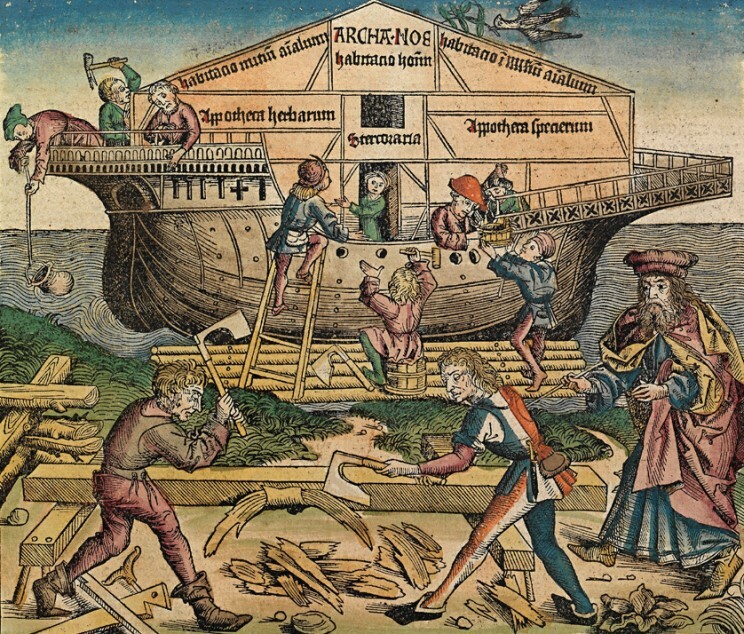 Portrait of Noah's Ark under construction published in the Nuremberg Chronicle. 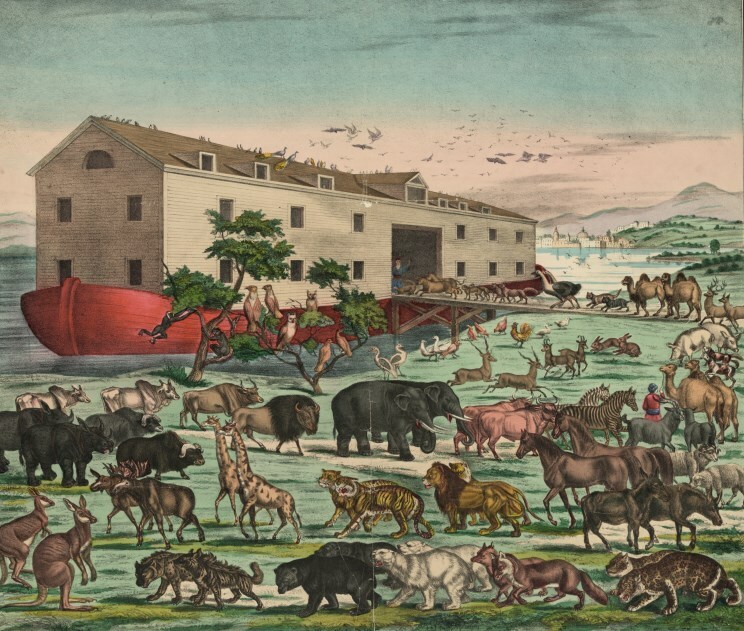 Portrait of Noah's Ark published by Currier & Ives.